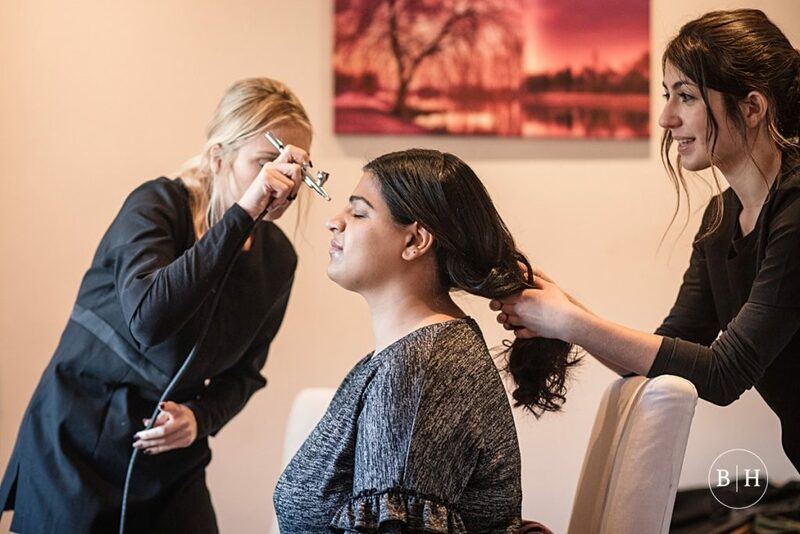 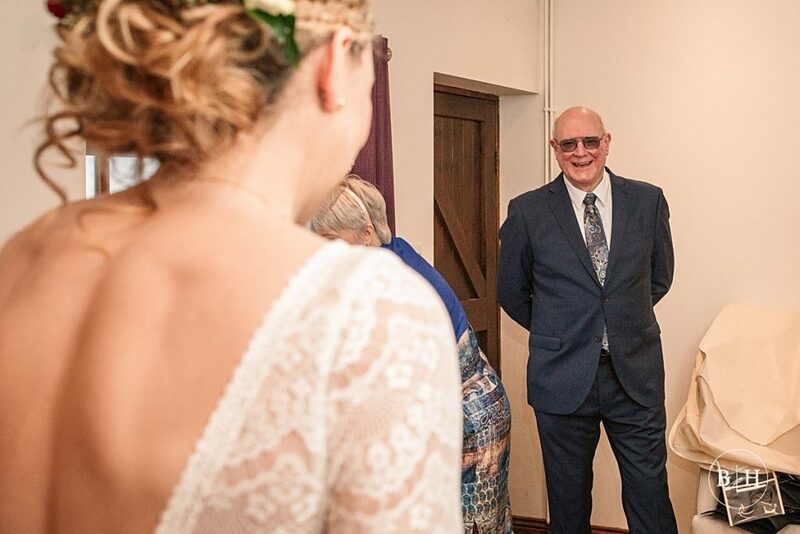 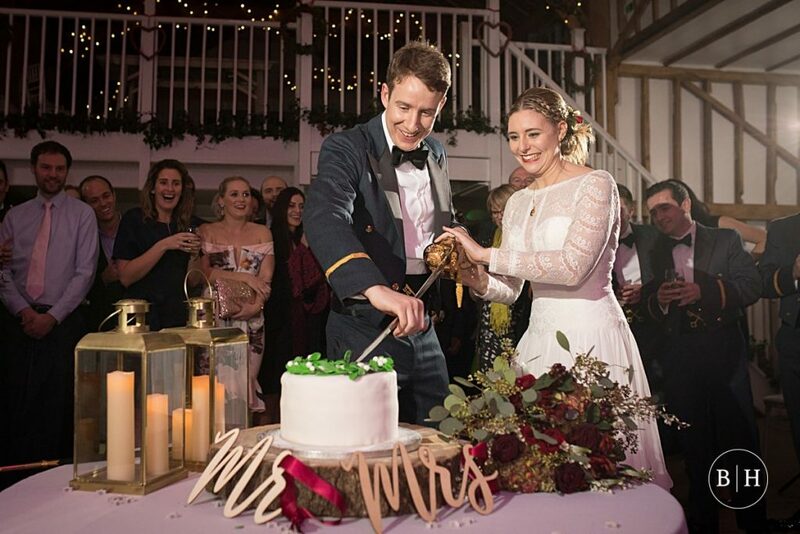 Issy and Alistair got married last December at the gorgeous Milling Barn – which is one of my favourite Hertfordshire Wedding venues – in Throcking, near Buntingford. 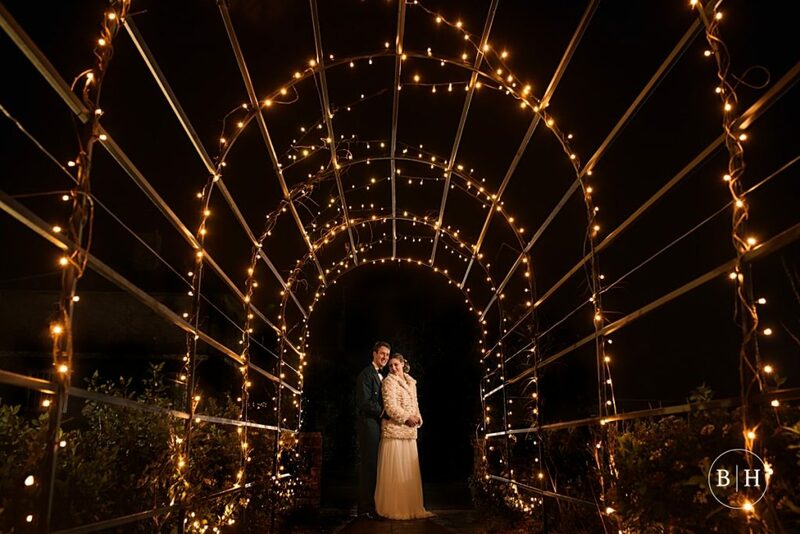 I posted last week about their pre-wedding shoot in St Albans. 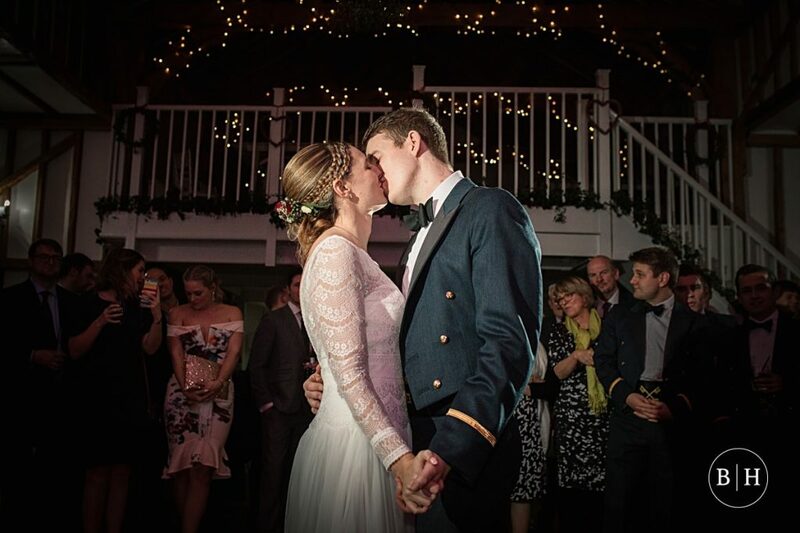 Issy and Alistair met at school and have been together for ages. 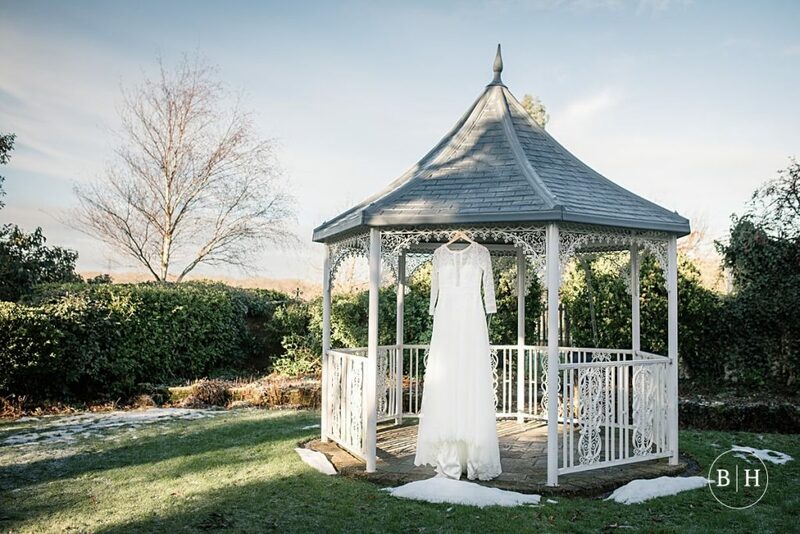 They got in touch with me in early 2017 and their enquiry was really exciting, as I do love a winter wedding! 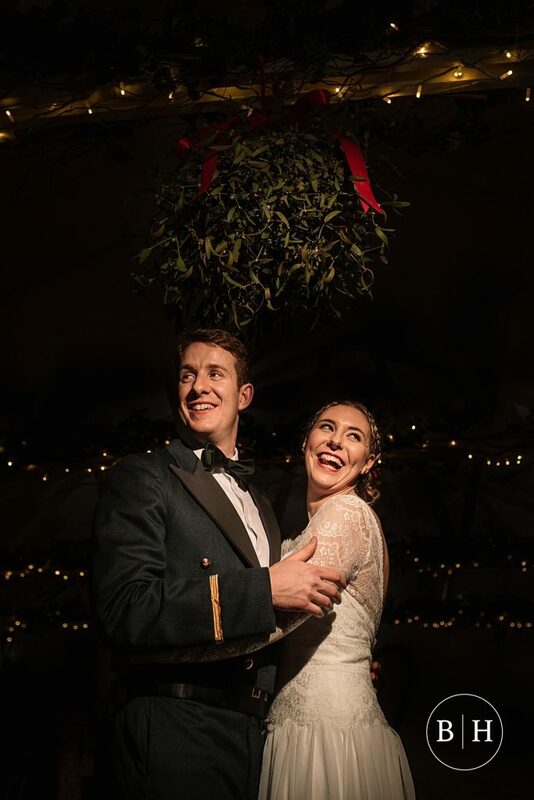 They said they wanted a relaxed photographer to capture real moments throughout the day, so I knew we’d be the perfect match! 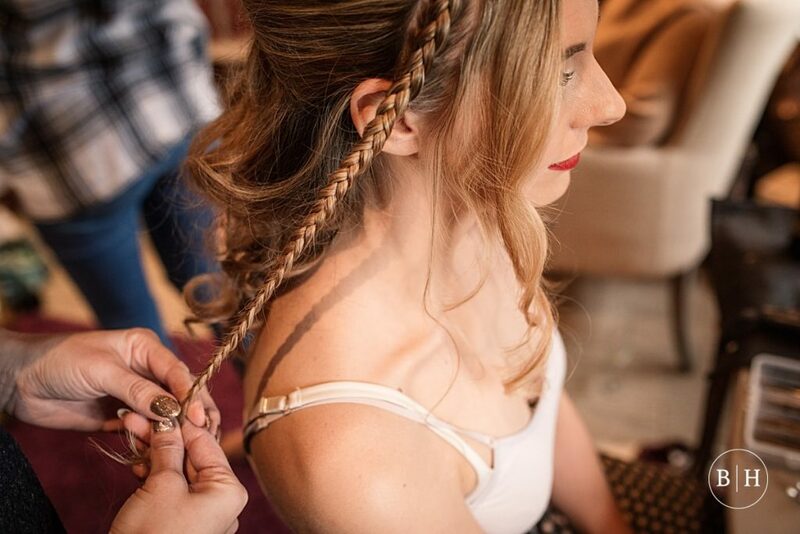 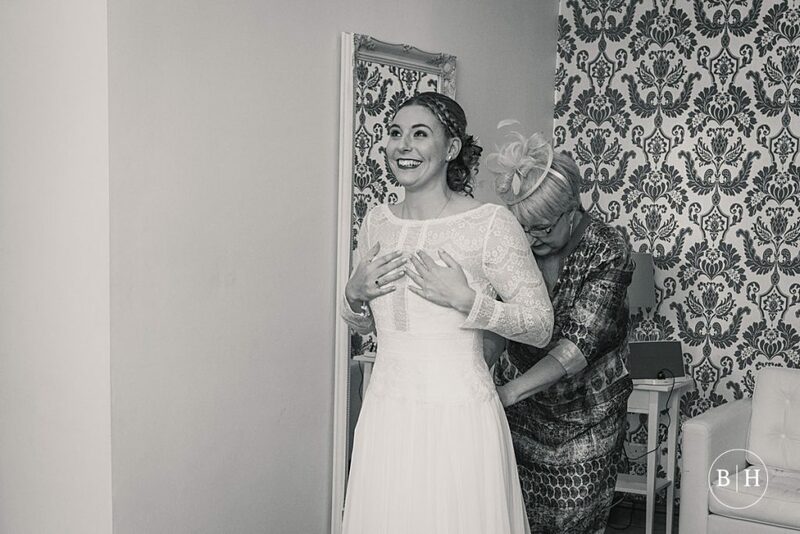 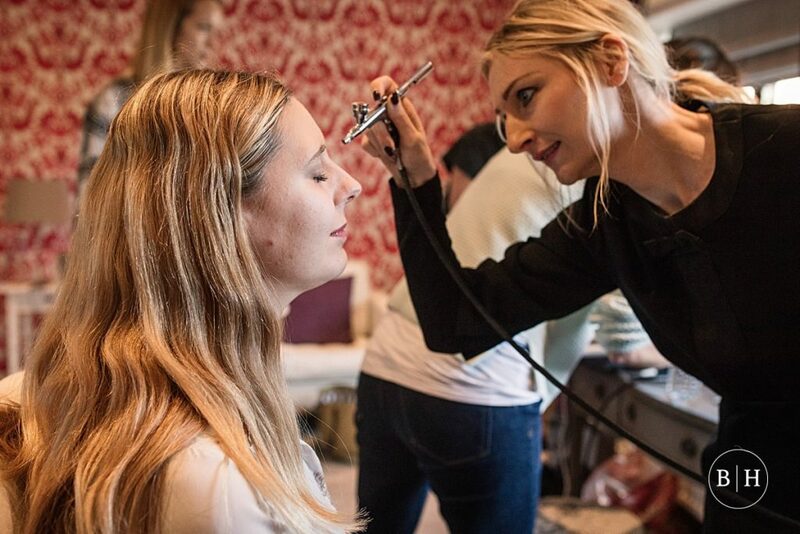 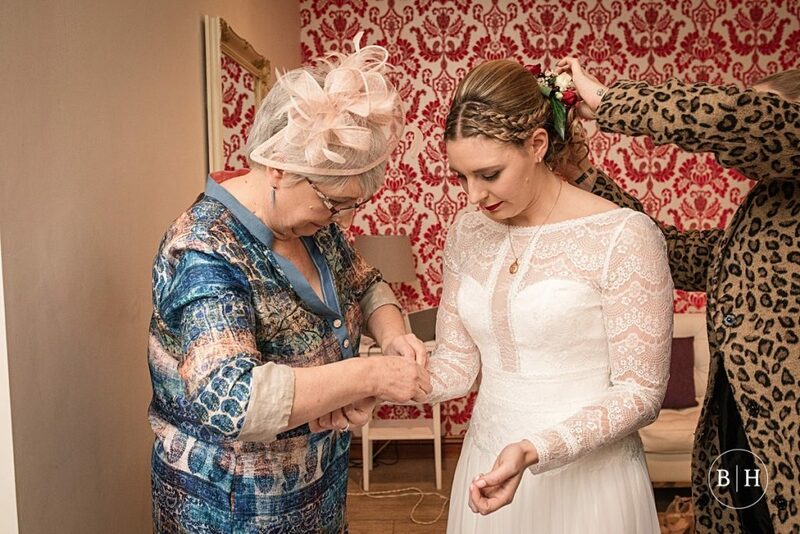 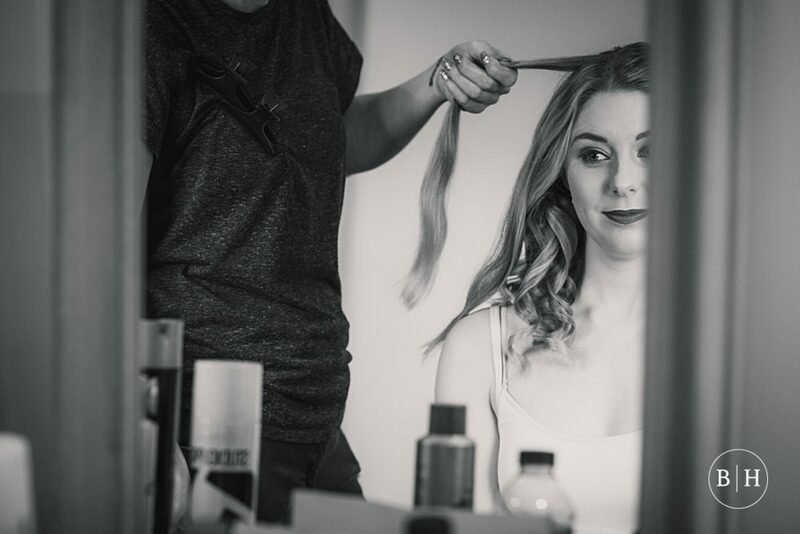 I spent the morning with Issy, her mum and her bridesmaids, all getting ready in the Milling Barn bridal suite. 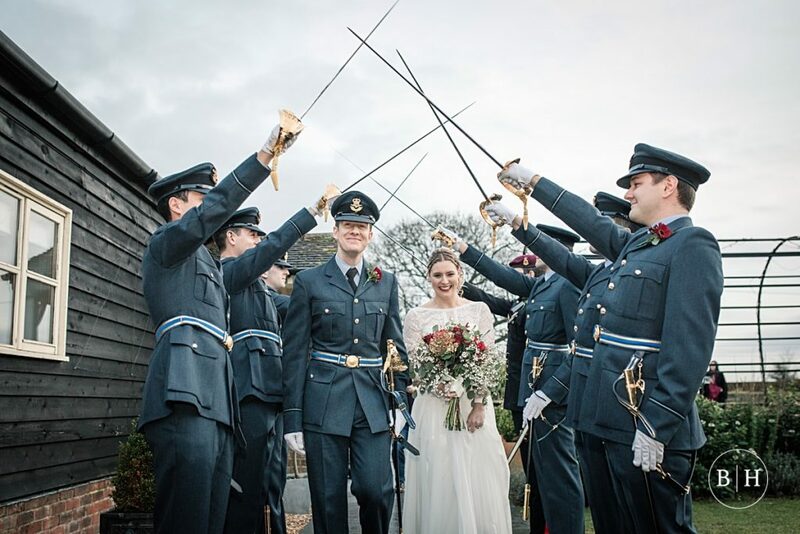 It was a lovely relaxed morning, and the excitement was palpable as the hour of the ceremony approached! 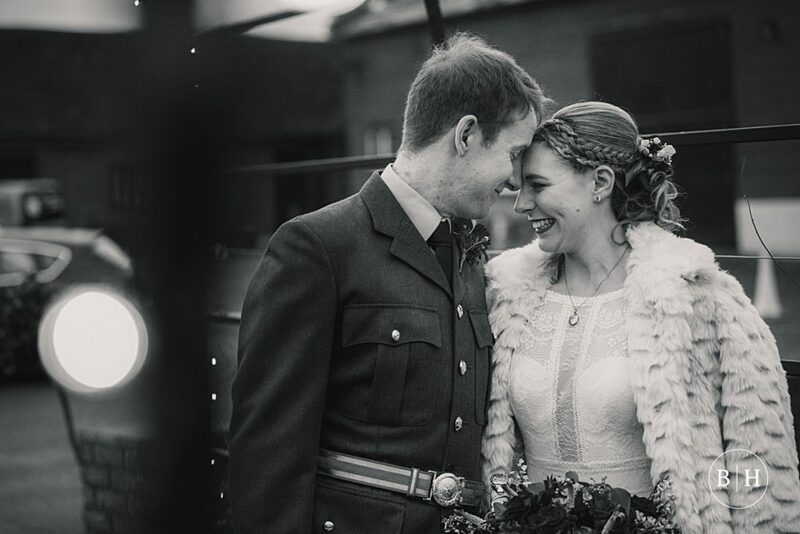 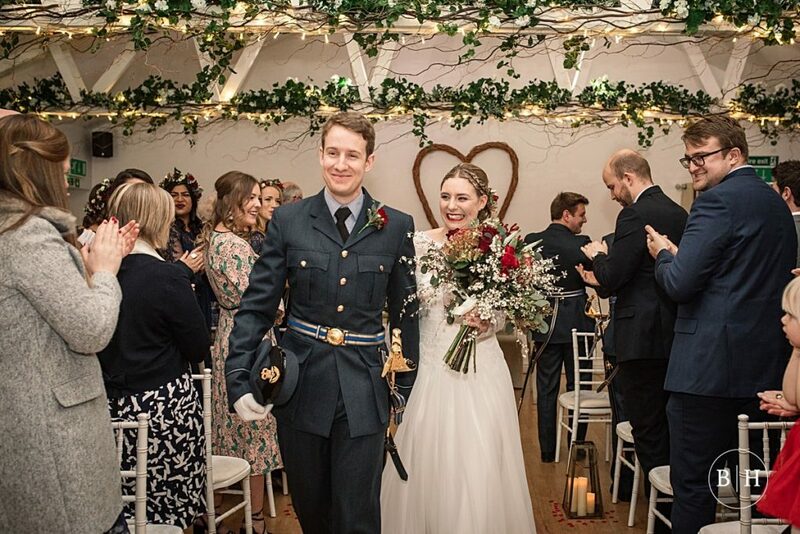 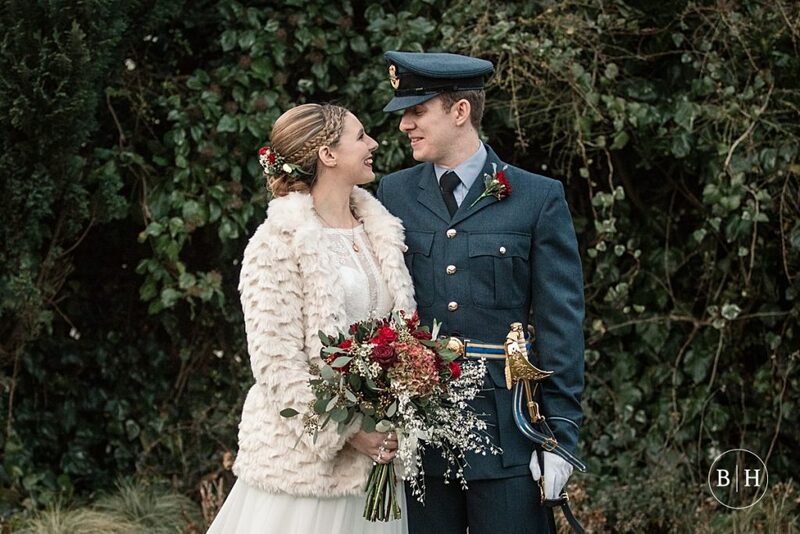 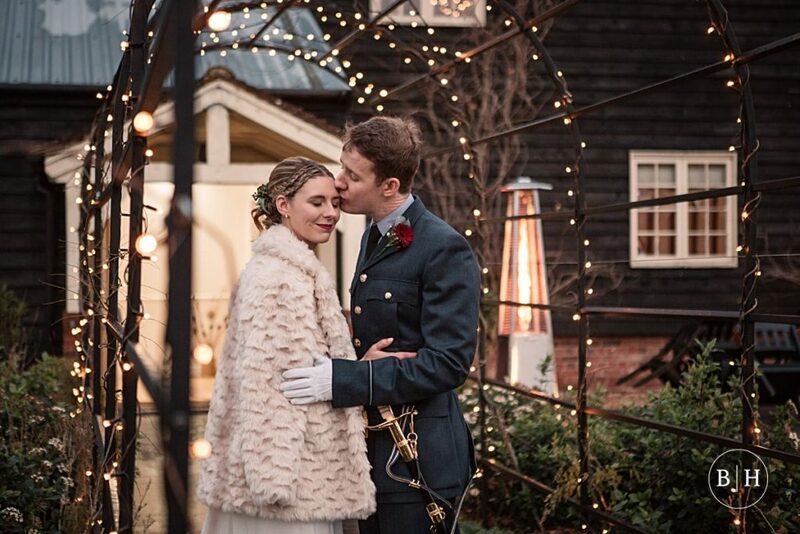 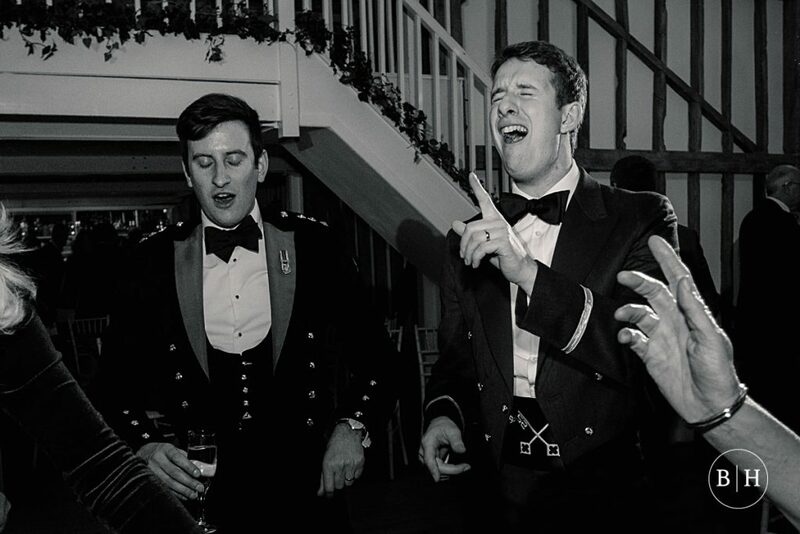 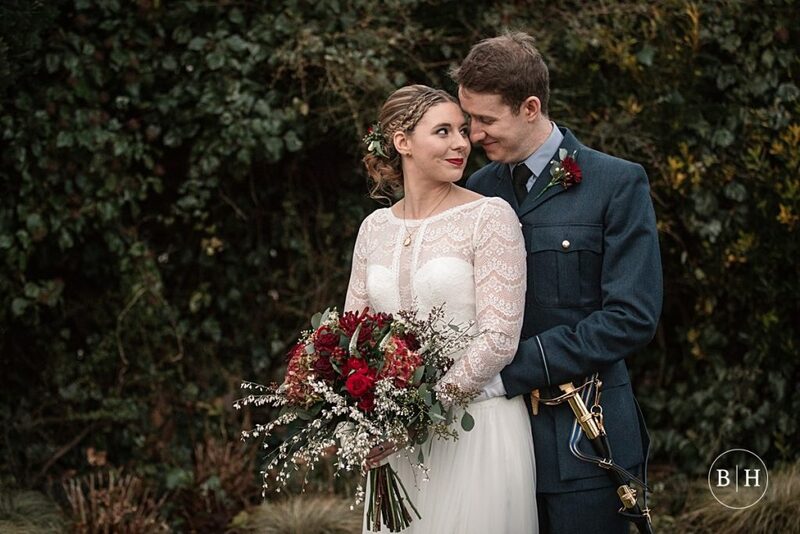 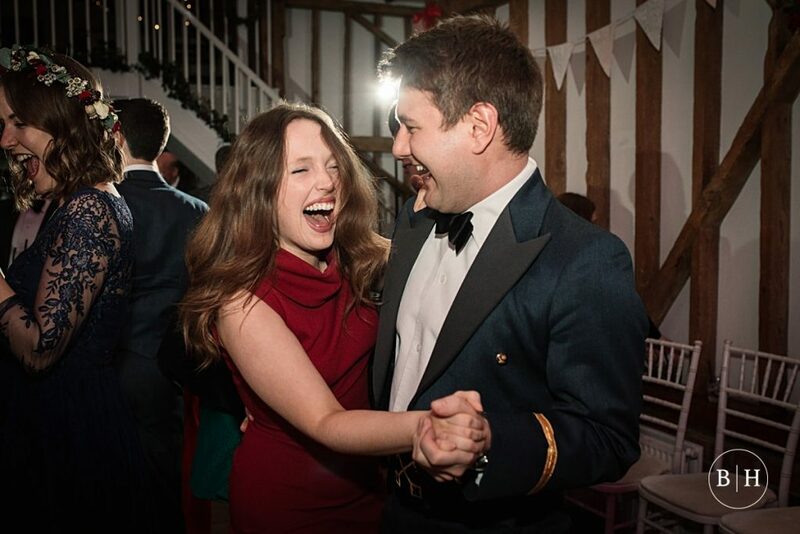 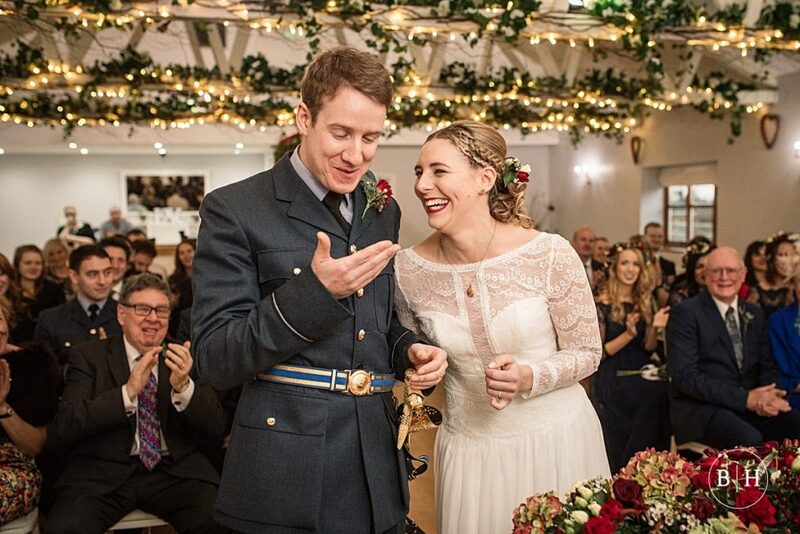 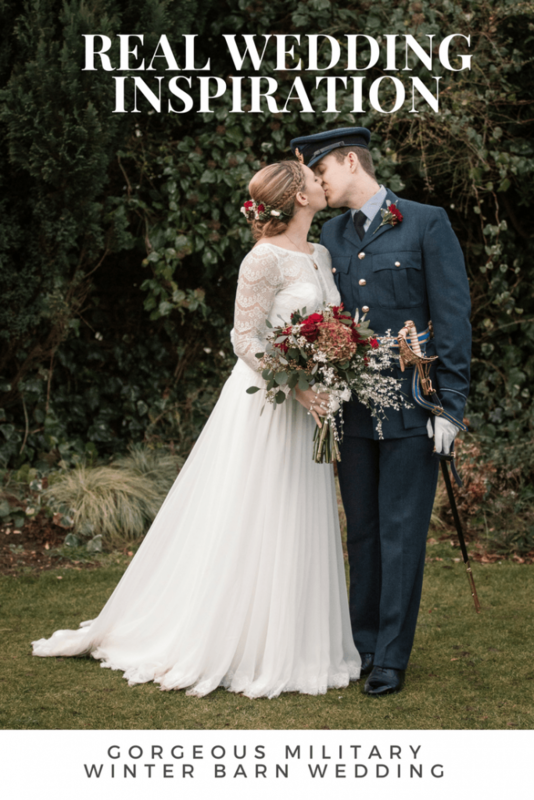 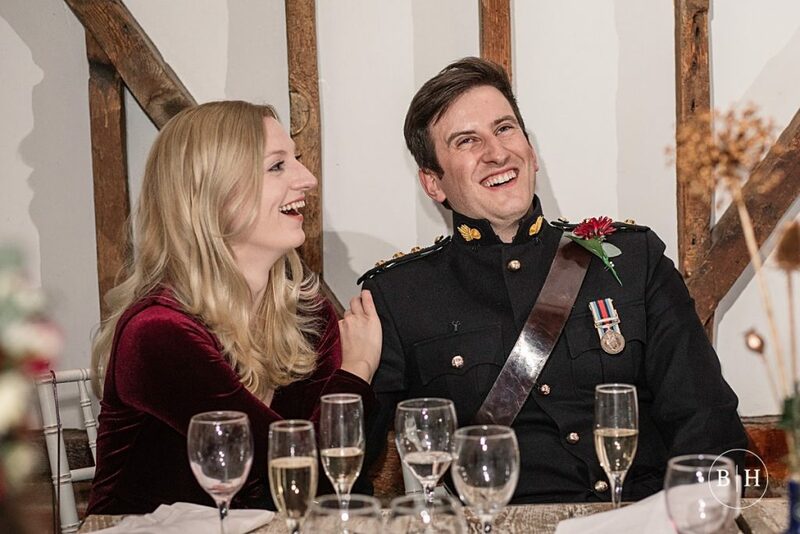 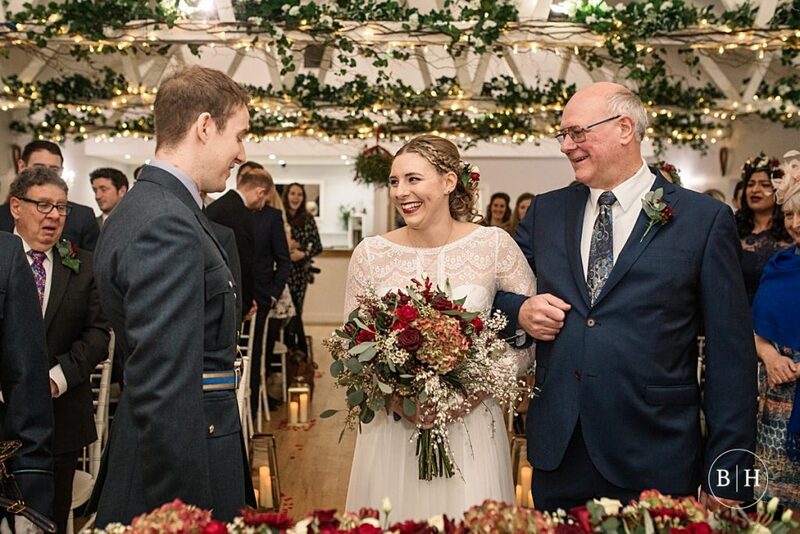 Issy wore a gorgeous lace dress with long sleeves, accompanied by a fur jacket for when it got chilly for outside photos, and Alistair wore his Officer’s military blues as he’s an RAF officer and they looked so perfect together. 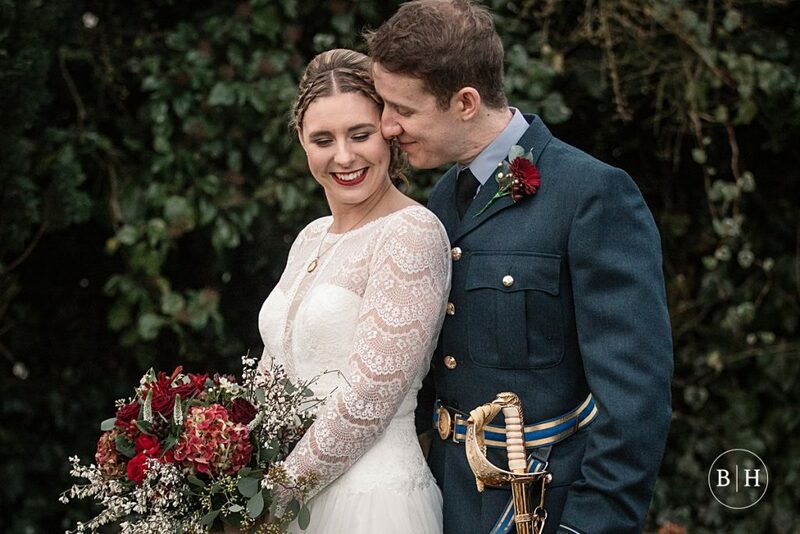 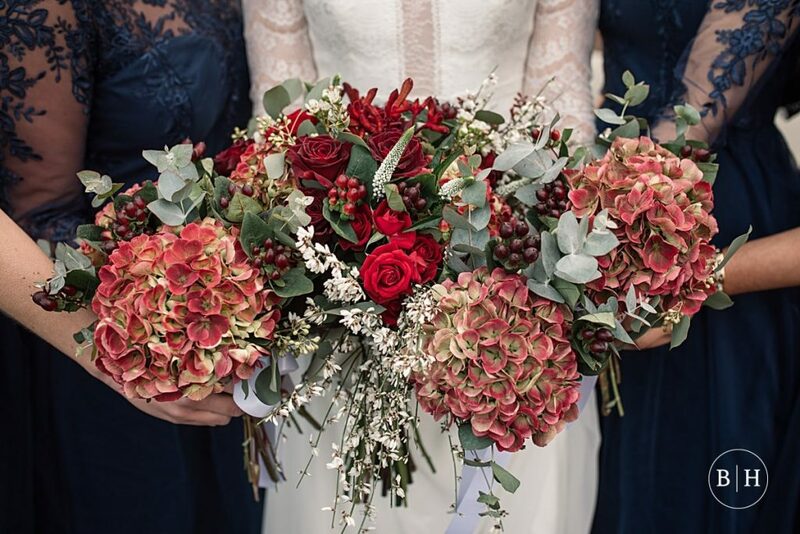 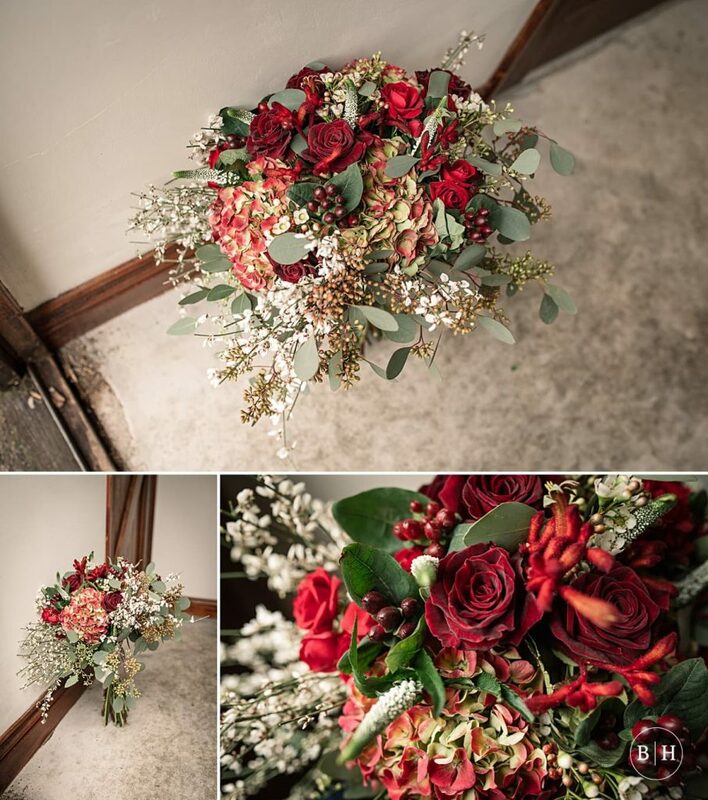 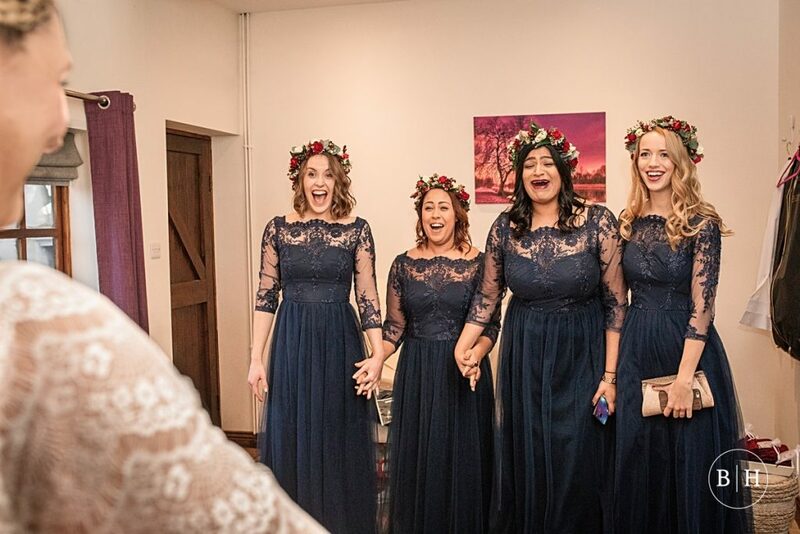 Issy’s flowers were absolutely stunning – I loved the oversized wintery bouquet and couldn’t stop taking photos of it, and Alistair and the other officers’s even had a change of outfit for the evening reception. 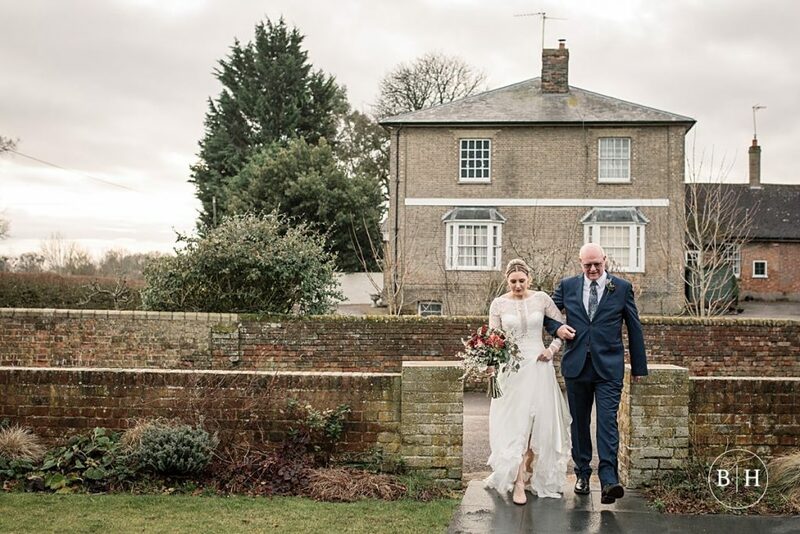 The whole day took place at one venue, which was great, as it saved a lot of time travelling around. 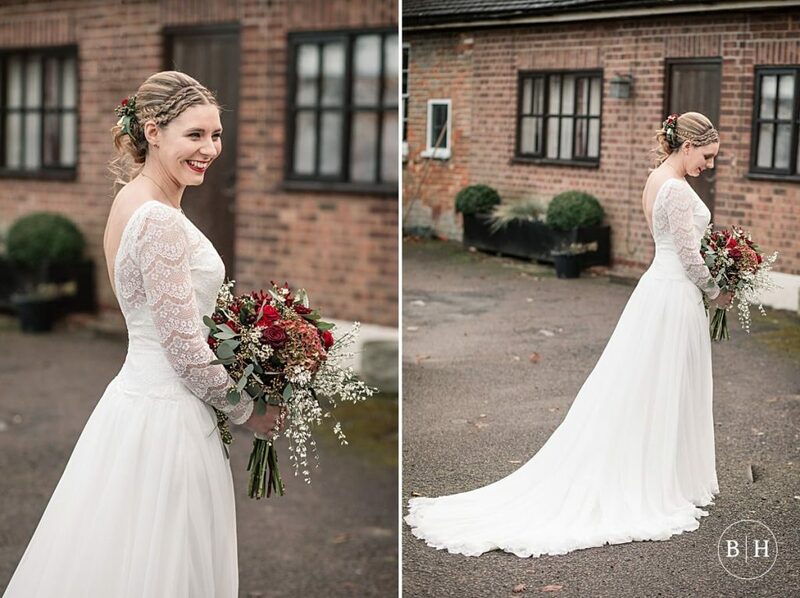 I love shooting weddings at Milling Barn because the surroundings are stunning, and the staff are so lovely. 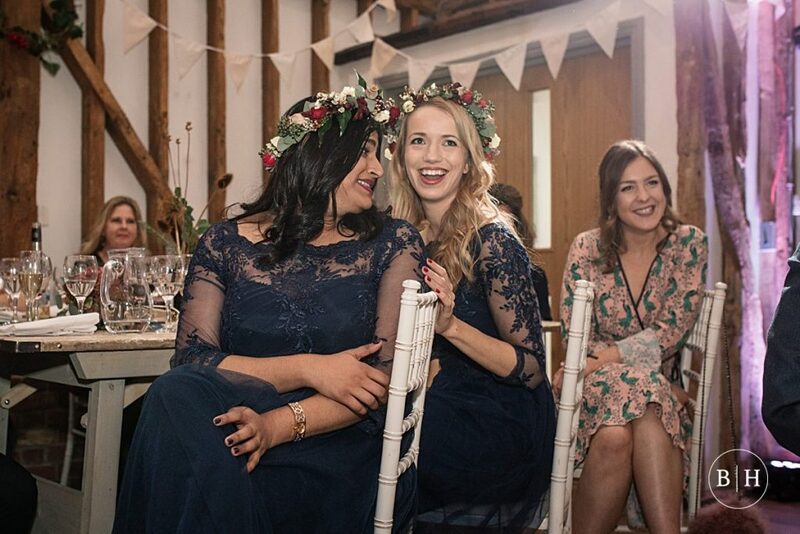 The venue is one where I’m lucky enough to be a recommended supplier, so I always love capturing a couples special day here! 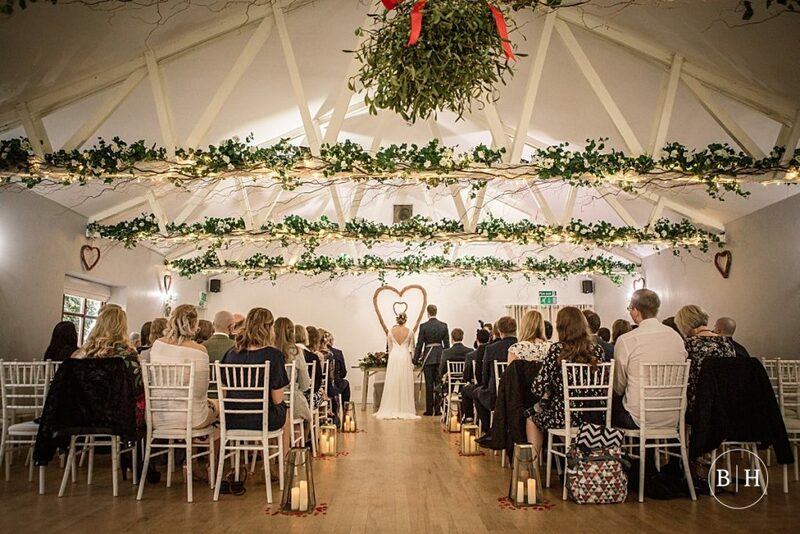 The wedding itself was a civil ceremony in the Dairy Barn room adjacent to the main Milling Barn. 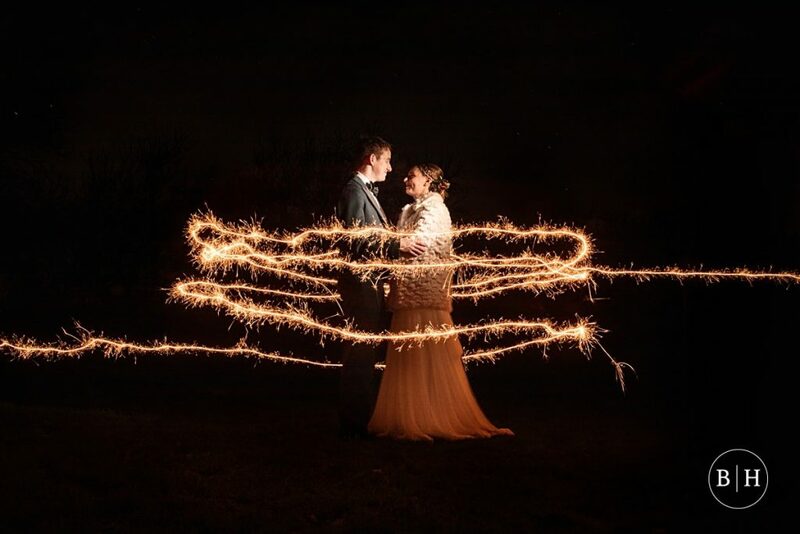 It began at 3pm, which is tricky in December as the sun sets at about 4pm, so we were a bit pushed for time with the portraits! 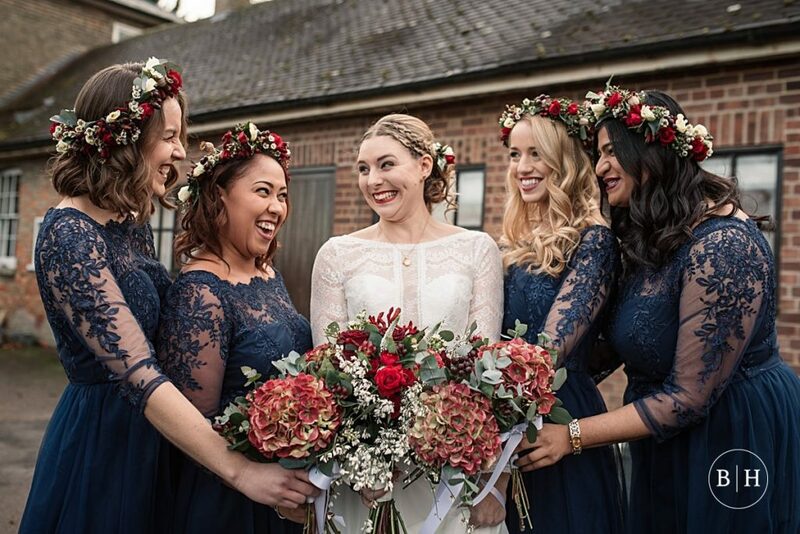 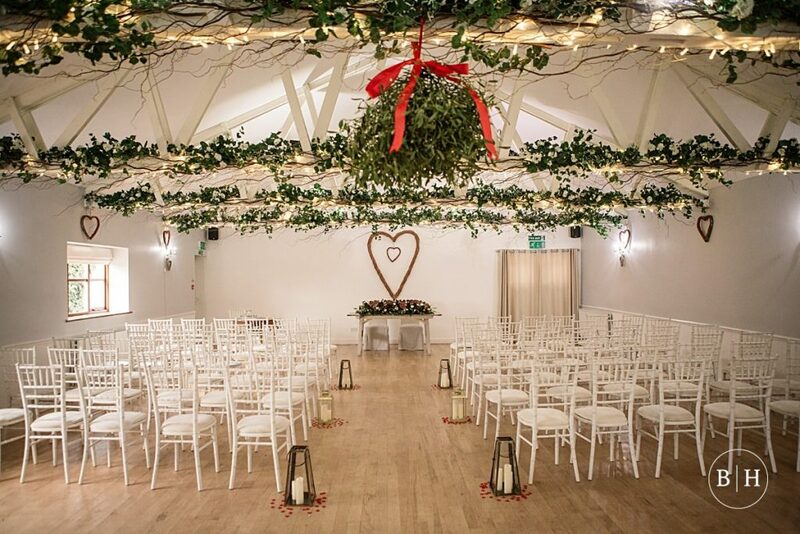 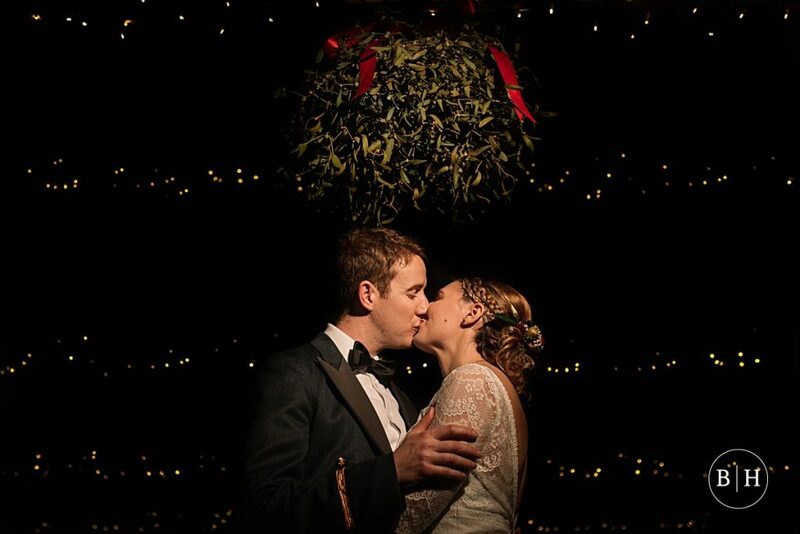 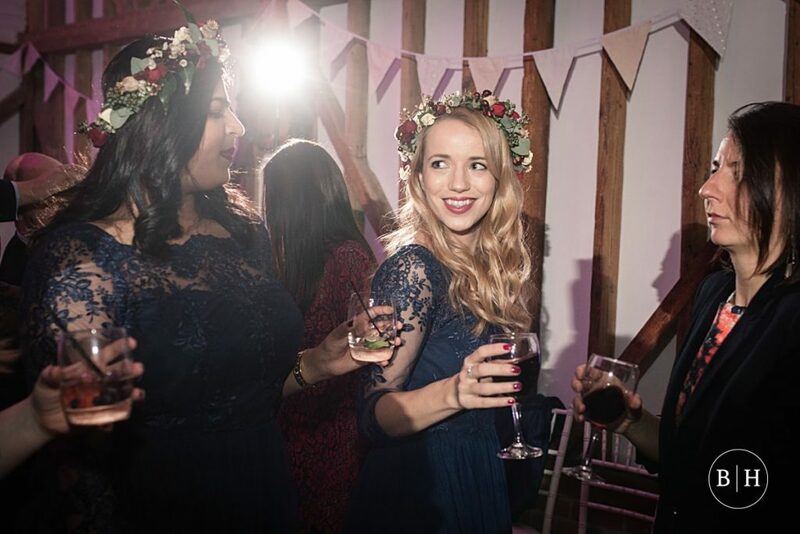 The Dairy Barn offers gorgeous rustic touches with beams festooned with foliage and fairy lights, which are always lovely, but especially fitting for a festive wedding in December. 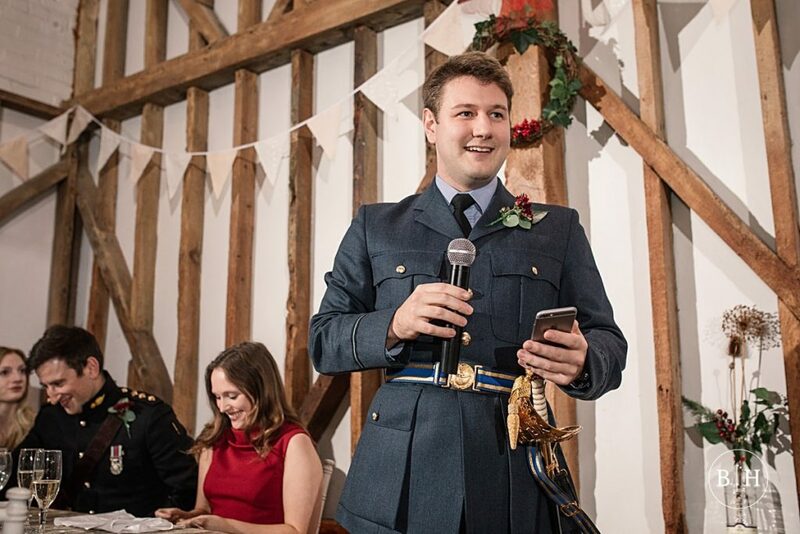 During the ceremony they had several beautiful readings from friends and family which was lovely. 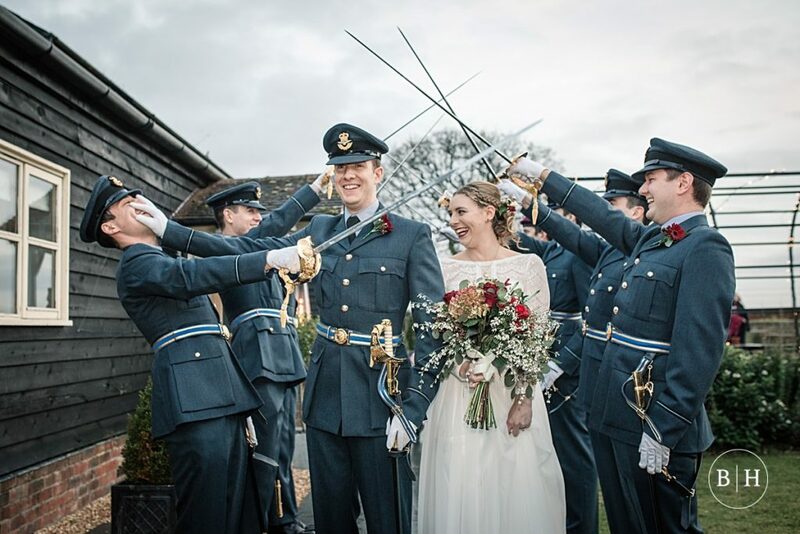 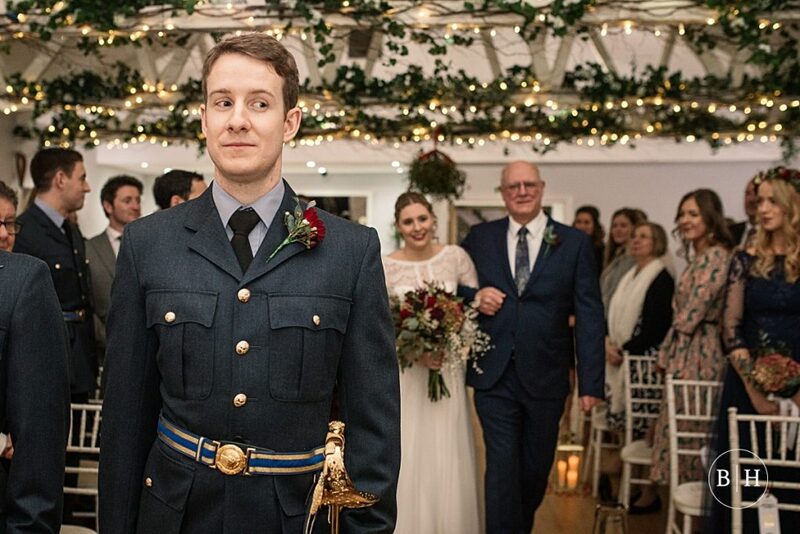 A personal highlight of the day was just after the ceremony when Issy and Alistair exited the barn to a guard of honour performed by Alistair’s friends and colleagues from the RAF. 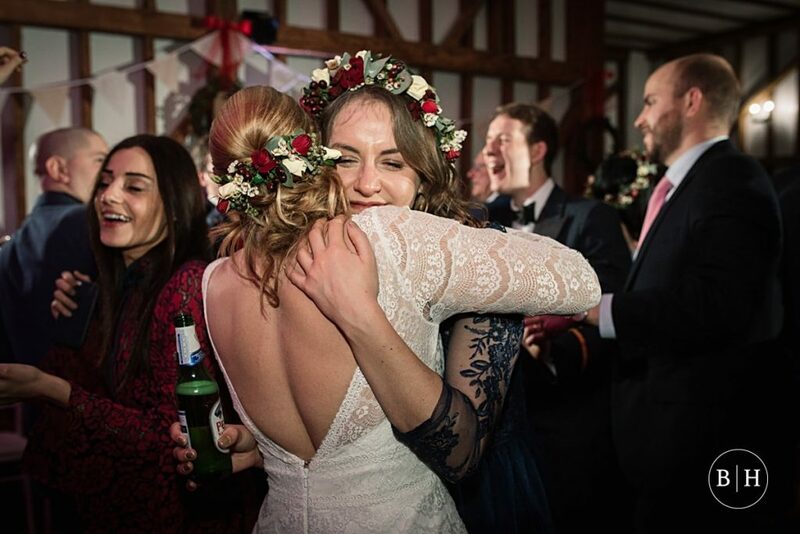 They decorated the venue with wintery decor and dried flowers in gin bottles, to match their table plan – each table had a different gin bottle, while the table plan in the Dairy Barn had another with names tagged on it. 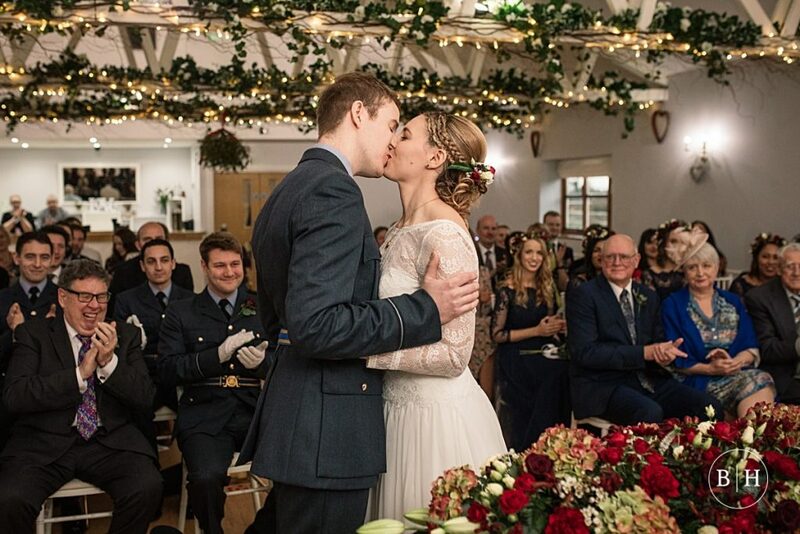 They must have had to drink a LOT of gin in advance of the big day (a couple after my own heart!!). 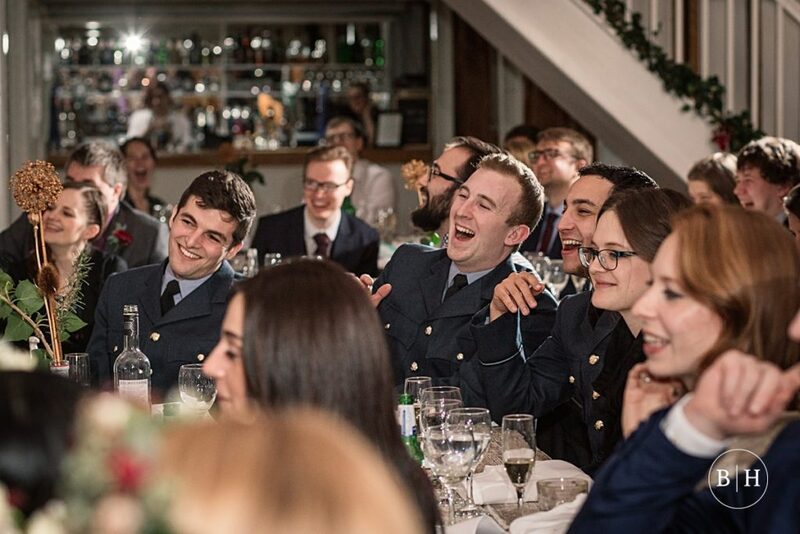 For dinner they had a slap up meal, which was gobbled down in seconds by everyone. 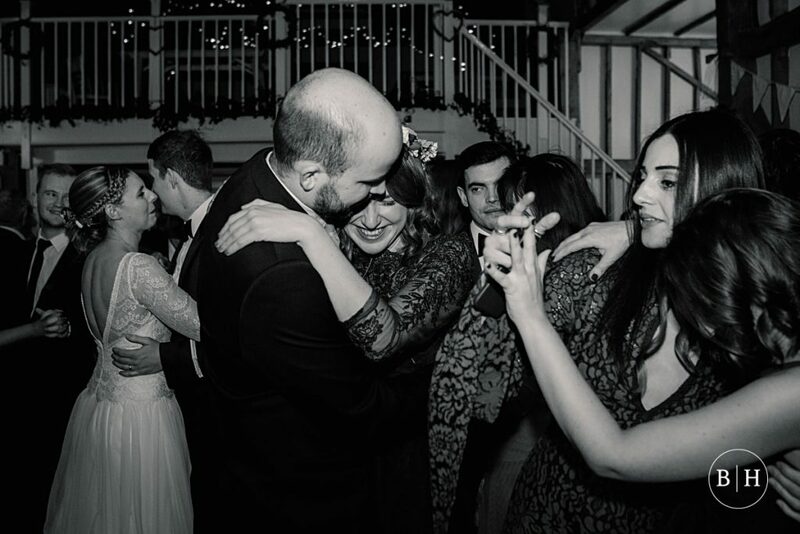 The first dance was a good old traditional wedding shuffle, and they finished off the evening with cocktail making to loosen everyone up for the dance floor. 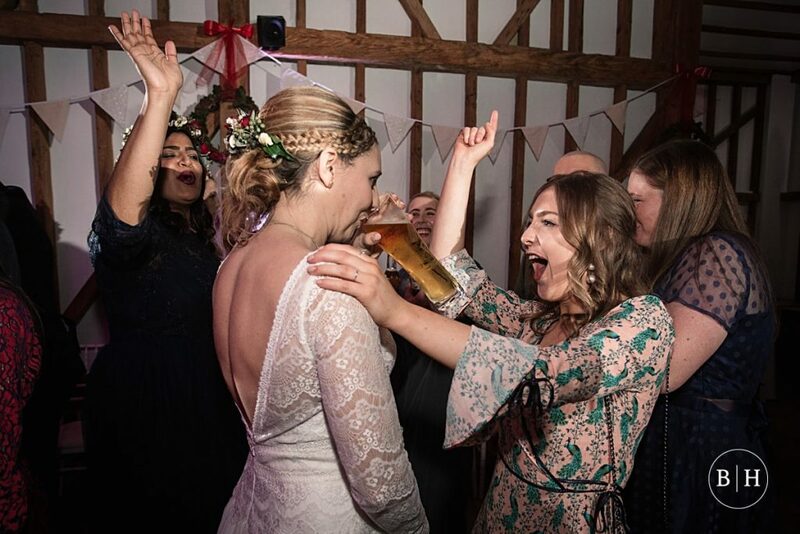 The evening celebrations were great, because the dance floor was full with everyone enjoying live music by Road Runner, a band based locally in Hitchin. 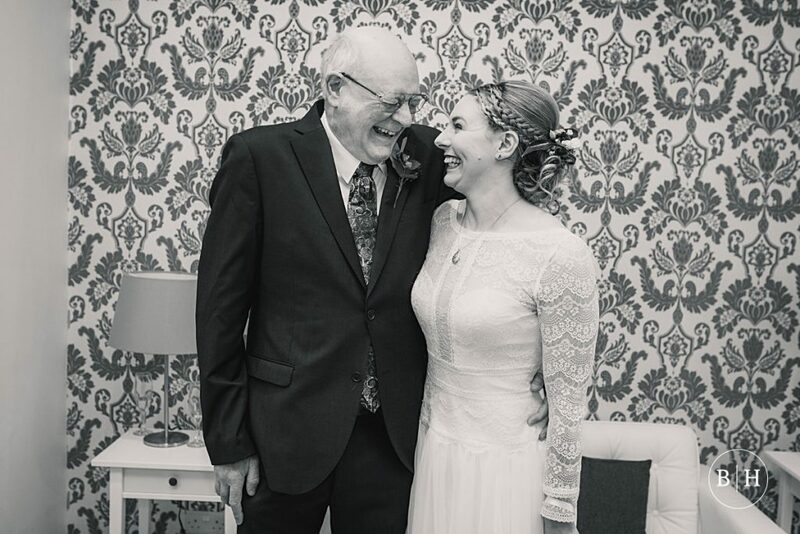 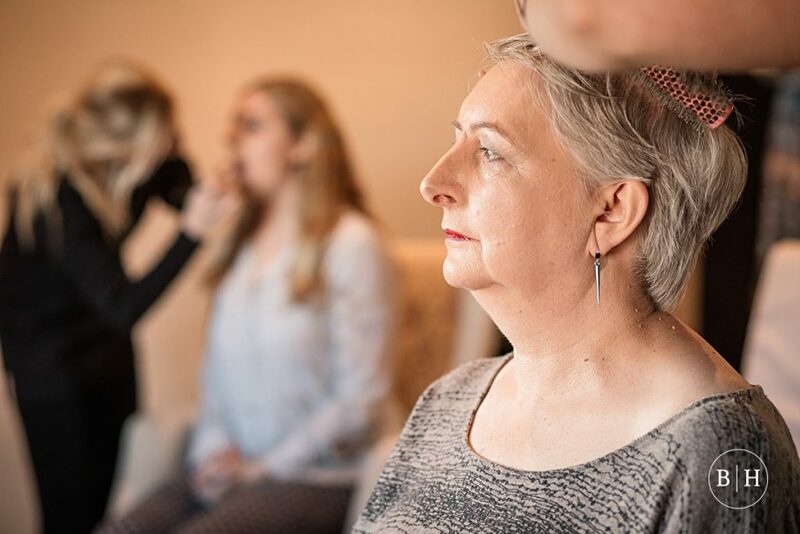 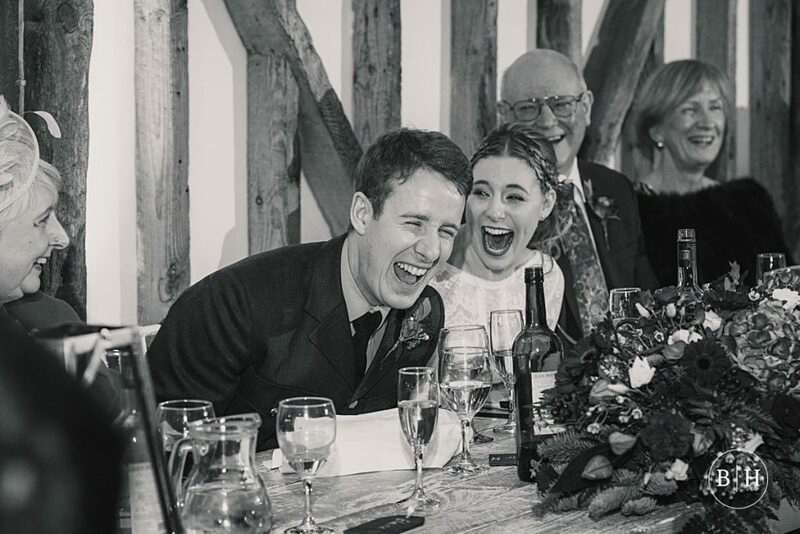 Issy and Alistair say that if you’re planning your wedding, the biggest piece of advice they could give you is to sit back and enjoy the day when it finally arrives. 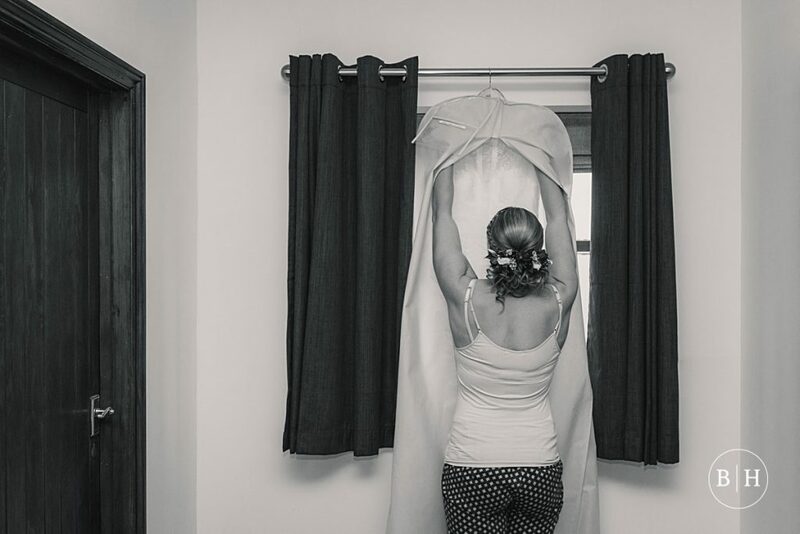 Nobody will know whether everything went to plan or not, and worrying rarely helps. 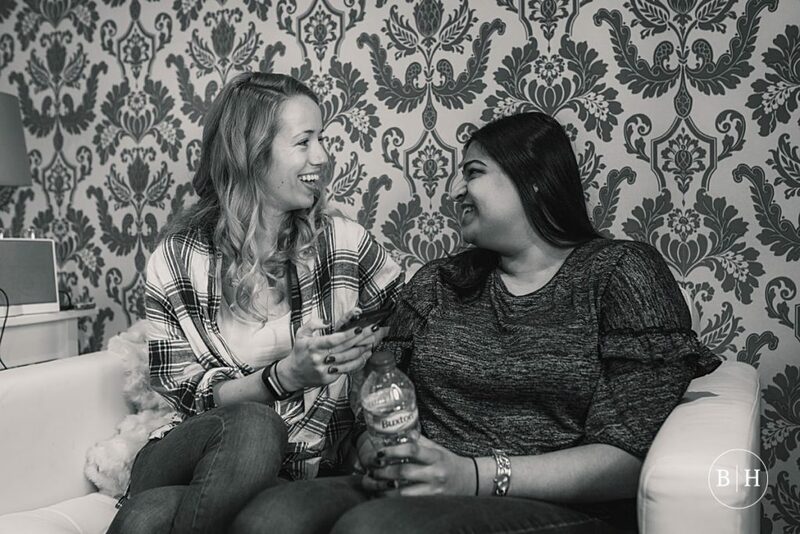 Surround yourself with some of your favourite people and try to take in all the happy emotions. 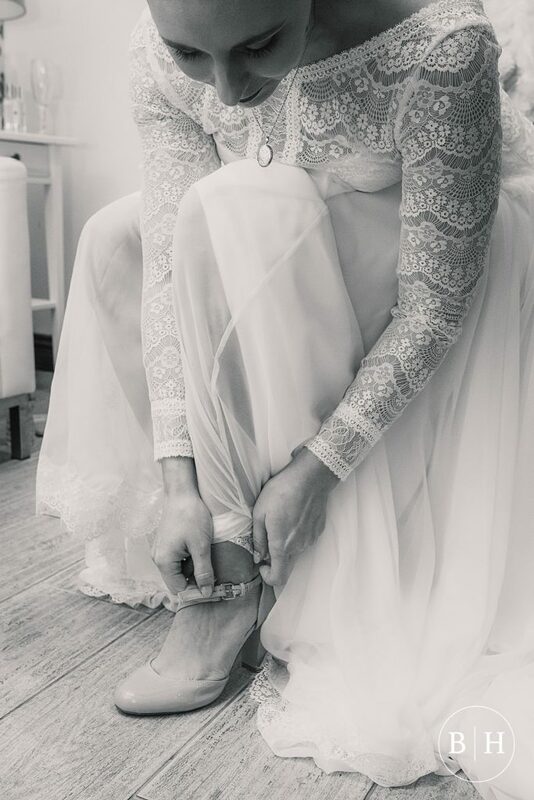 It WILL be one of the best days of your life! 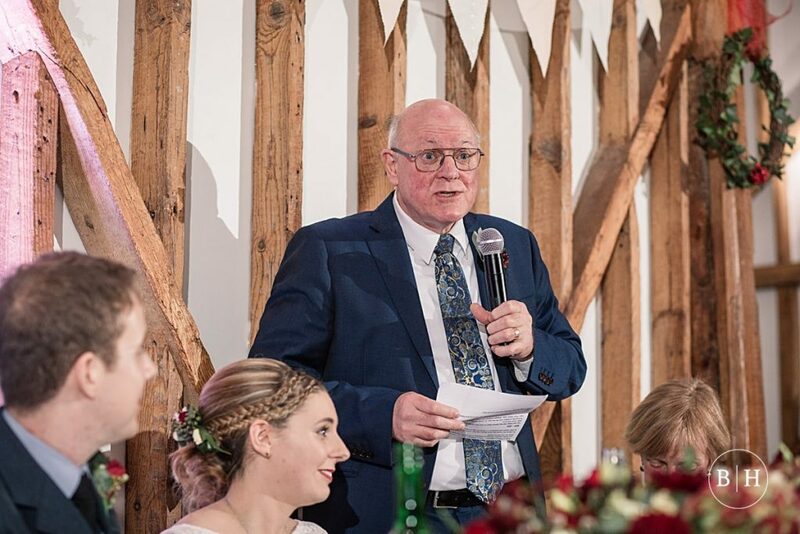 If you’re looking for a Milling Barn Wedding Photographer, please drop me a line – I would love to hear all about your plans!